Homemade 6v Conlog type alarm fob battery. Problem: A few old 90’s alarm key fobs use 6 volt batteries made up of 4 separate 1.5v button cells. Last year I needed one quick-like – same day – for the Golf Mk3 I’d just bought. There are plenty online, eBay etc, for about £5 to £10 but I couldn’t wait 2 days for one. Solution: Nipped down to the Pound Shop and bought an assorted selection of hearing-aid button cell batteries for a quid! Taping four AG3’s together with Sellotape or Electrical Tape didn’t make a good enough electrical connection between the cells. 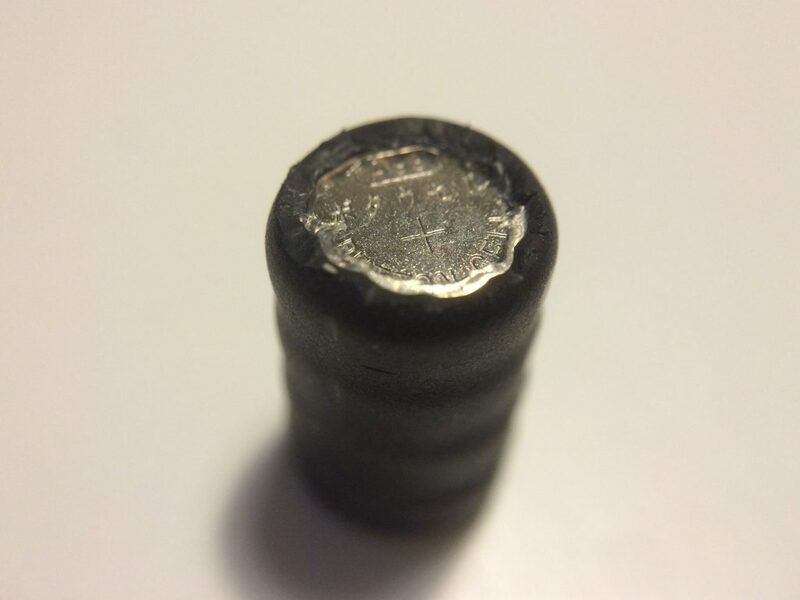 Turns out a piece of Heat Shrink tubing, placed over all 4, then gently shrank (shrunk?) with a lighter forces the cells together nicely! After this is done, trim the top and bottom of the tubing to make sure the battery contacts are able to make connection. 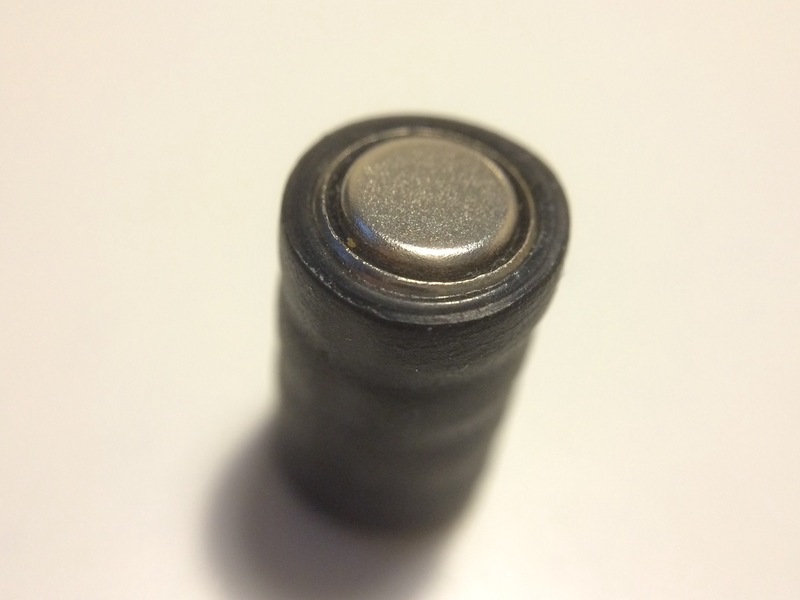 Pics: Below you can see the homemade battery from top and bottom. Under there’s a pic of the ‘proper’ one. Longterm Use: I’ve been using this solution for a year and the batteries have just run out. 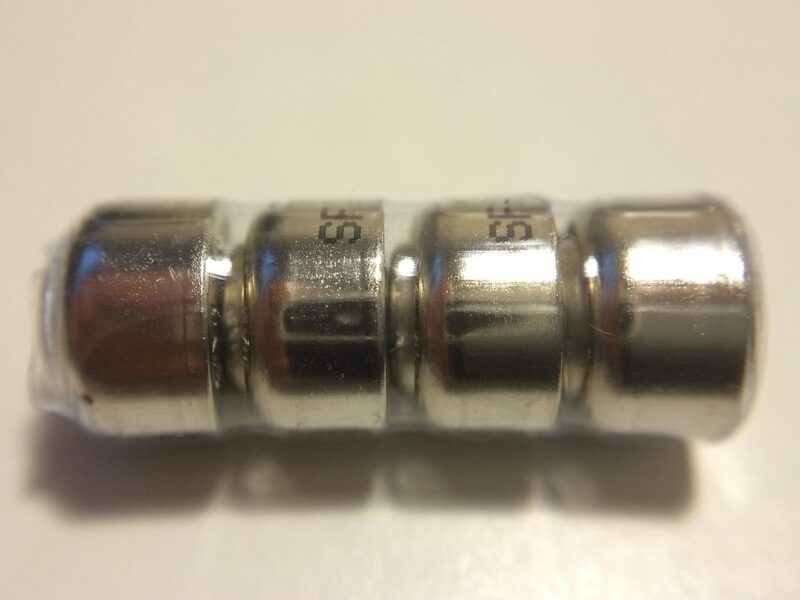 I was using 4 AG3 type button cells, but any 1.5v types that are small enough to fit in the Key Fob case would be fine. This time around I’m using a ‘proper’ one from eBay – part 4/393 – as I had more time to order it. Previous Previous post: Replacing Golf VR6 Mk3 rear light seals, fixing a leaking boot.